Unique, exclusively designed and made for Akita Rescue of WNY! 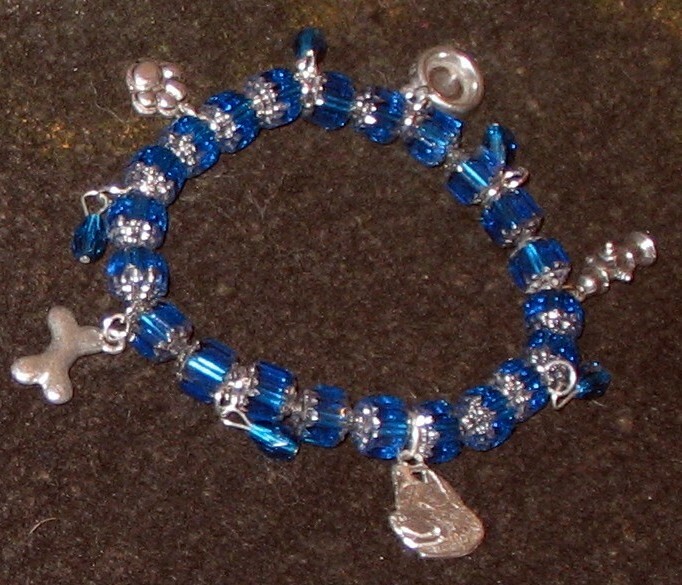 You will not find these any place but here and all proceeds go directly to the care of our dogs! This is a Savorski crystal bead with metal spacer and various pewter charms. 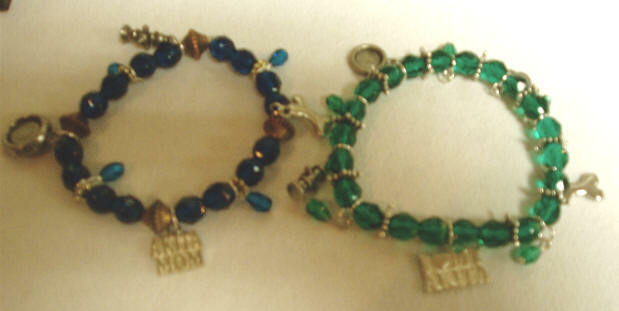 The charms vary -- an Akita head or an I Love My Akita or Akita Mom is the focal charm on each. 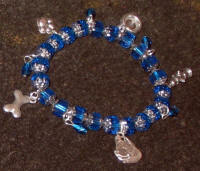 Then each has a paw print, dog bowl, hydrant, and dog bone pewter charm as well. 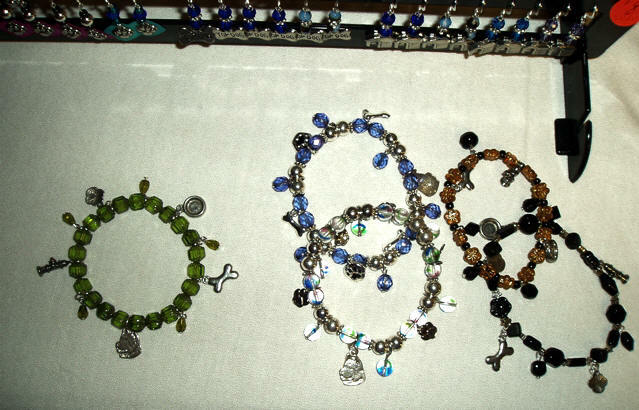 Styles vary slightly -- some have dangle beads and some don't. We also have NUMEROUS crystal bead colors to choose from or we will make to order. 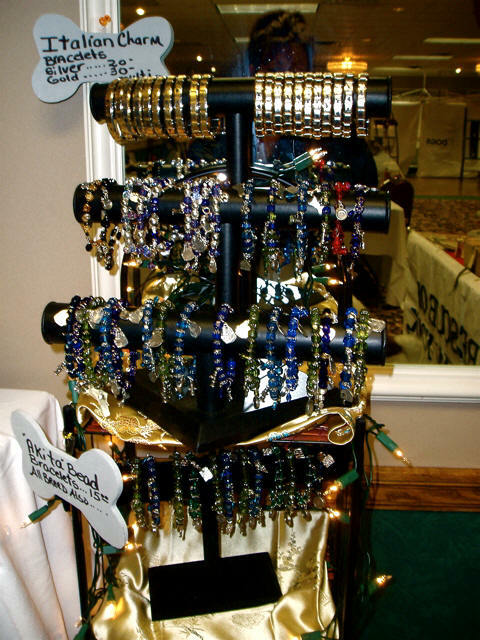 Simply tell us your preference in color and the designers at Jackie's Jewelry Box boutique will get busy with assembling. Also we have coordinating earrings in various styles as well.